HAPPY NEW YEAR! We’re working really hard making a bunch of new things! Keep watching our site! 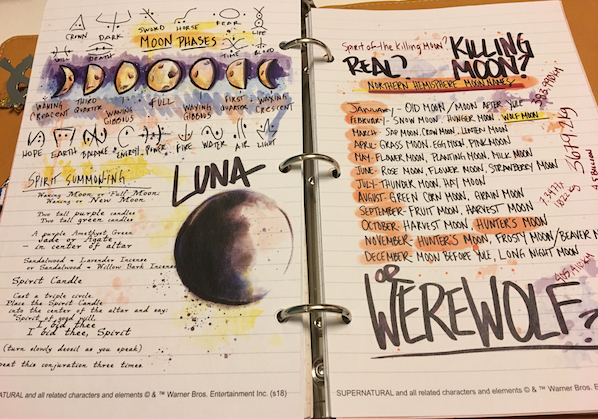 We’re making Harry Potter™ and Fantastic Beasts™ Journals and Things!! 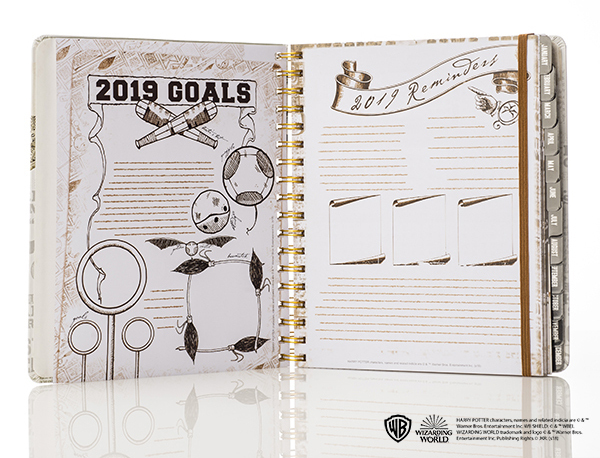 We are beyond excited to finally be able to share that we now have the license to make Harry Potter™ and Fantastic Beasts™ journals and creative accessories! This is truly a dream come true for me as I have been a huge Harry Potter fan for most of my adult life. We have our first two products in production right now! 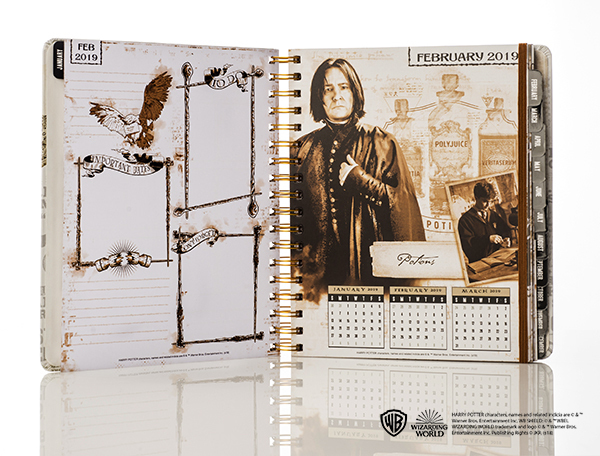 Our Harry Potter 2019 Weekly Planner and our Dark Arts™ Journals Box Set! You can pre-order them at conquestjournal.com and they will ship to you in late October. 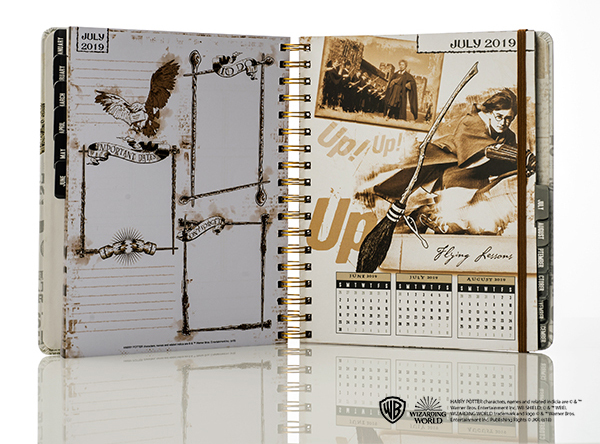 First up, here’s the Harry Potter 2019 Weekly Planner! 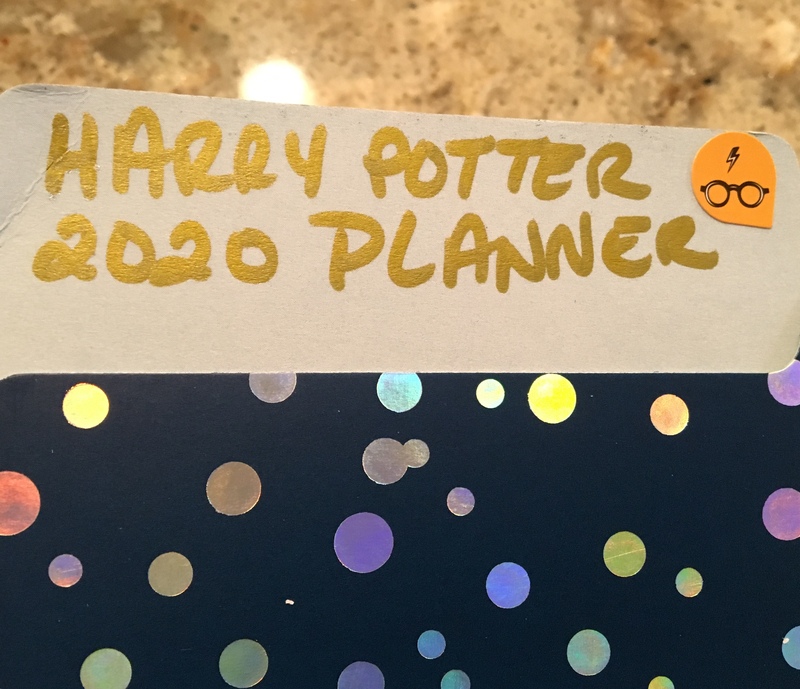 Accio organization! 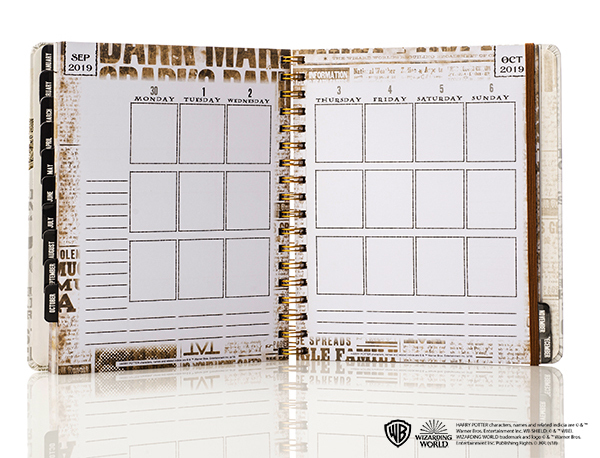 You won’t need a time turner to get everything done with our new 2019 Harry Potter™ dated weekly vertical format planner! Our 7″ x 9″ spiral bound planner has book board covers, an elastic strap for closure and a bookmark to keep your place. 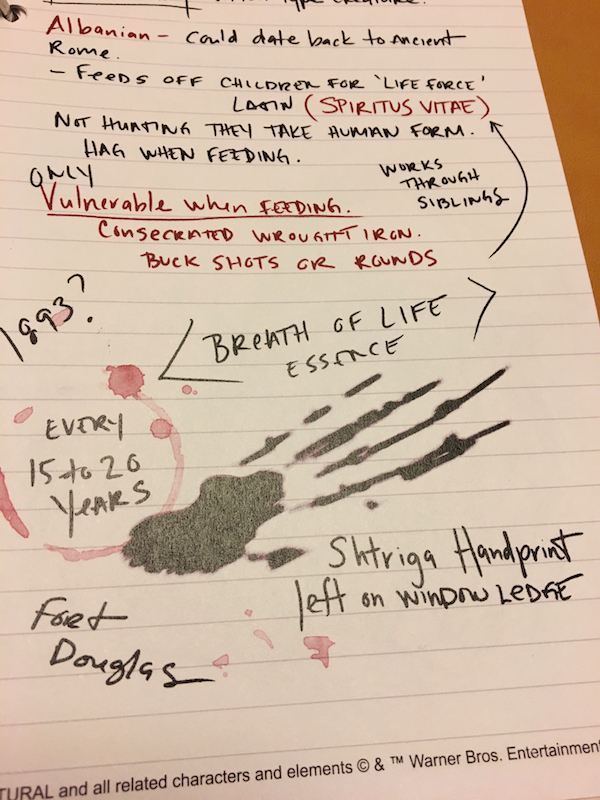 There are 200 pages to manage your mischief including places to note your potions, trips to the library, important dates, and reminders. 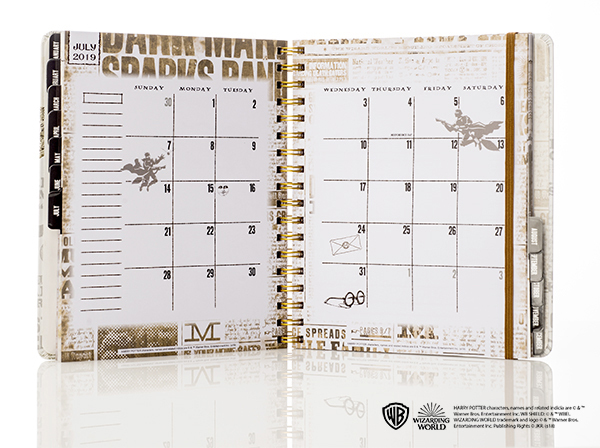 Each month features a Hogwarts™ favorite. There are 4 sheets of stickers bound in the back too! Only $29, pre-order here! 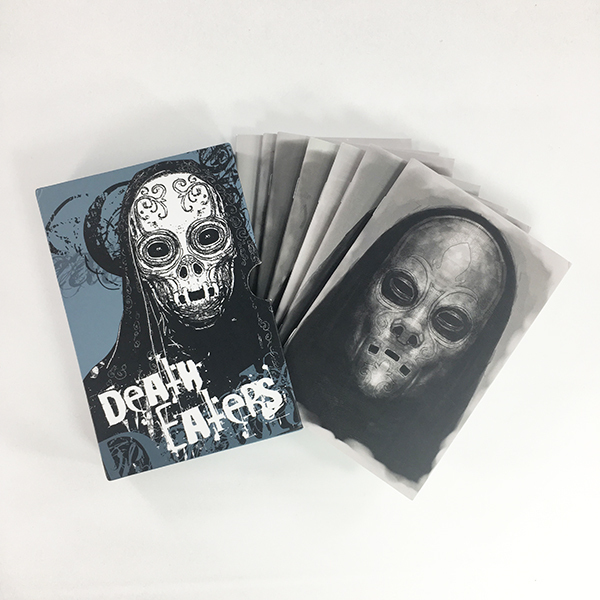 And now for something a little darker, it’s our Dark Arts Journals Box Set! Is your favorite shoppe Borgin and Burkes™ in Knockturn Alley™? Do your besties all wear masks? 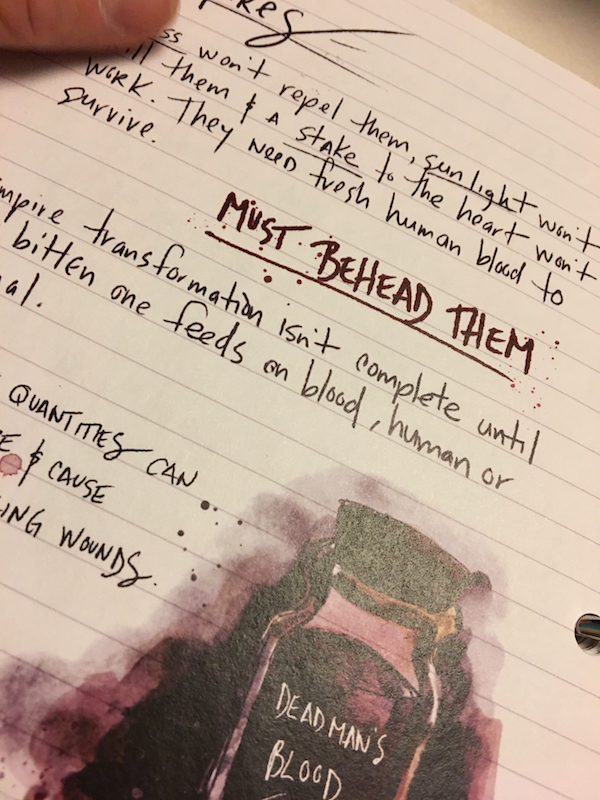 If so, we have the journal set for you! 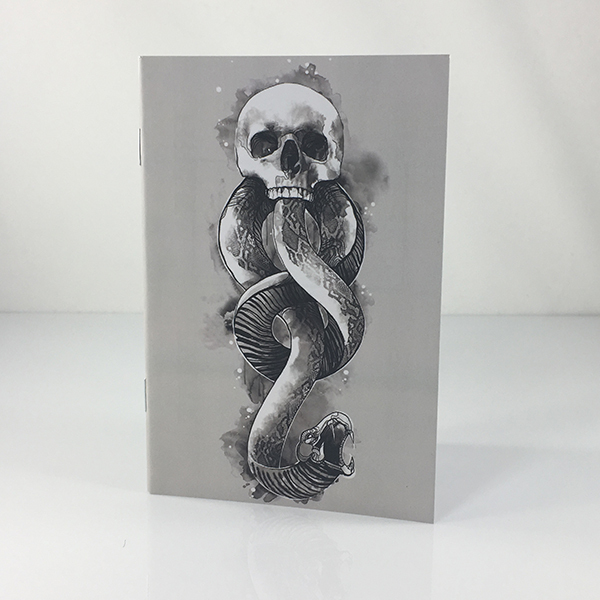 Housed in a collectible Death Eater™ box, the Dark Arts Journals Box set includes seven 4″ x 6″ saddle-stitched journals of 48 pages each. 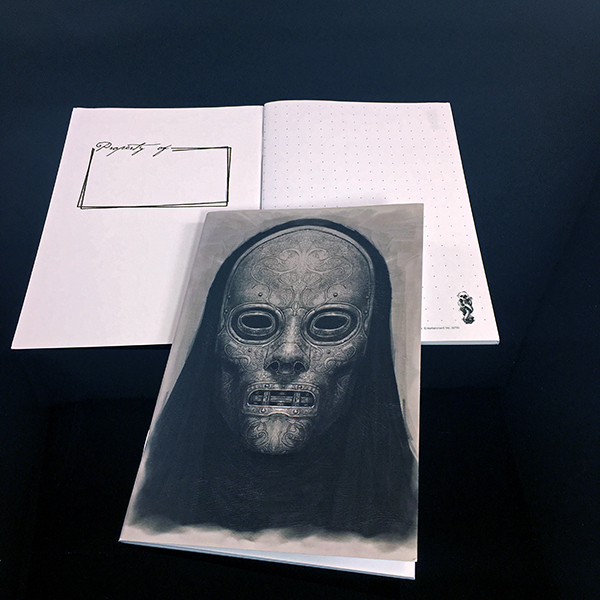 Two include lined pages, 2 graph, 2 dot grid and 1 with plain pages complete the set. 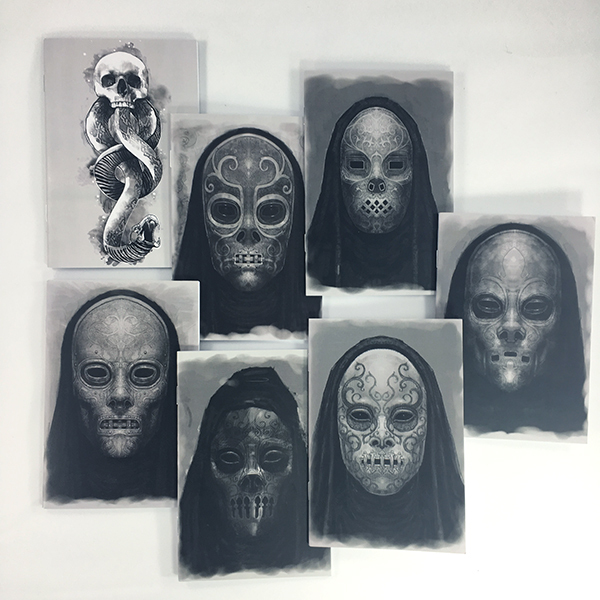 Each journal features a different Death Eater mask, with one Dark Mark™ cover calling them all together. $19.99 for the set, pre-order here! Trust me when I say this is JUST THE BEGINNING! 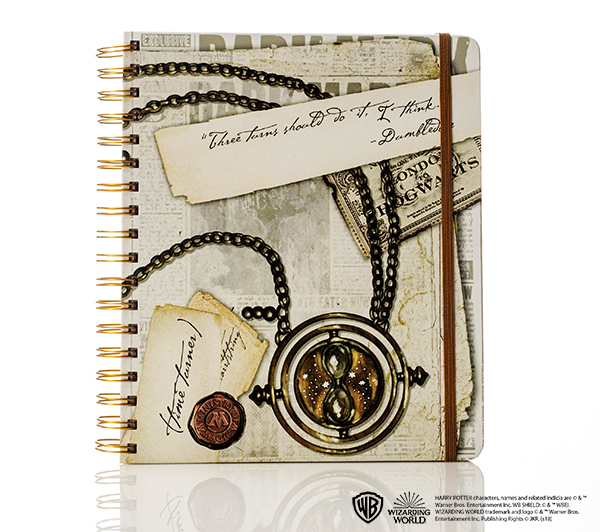 We have a full line of amazing Harry Potter and Fantastic Beasts journals and creative accessories that we will be rolling out over the next few months! Thank you guys for all of the love and support! We wouldn’t be here without you! Creating a brand, talking about brands and living the brands are overused or cliche to me, but it’s also a basic truth to building something powerful that move people to buy and share. It’s funny that it’s a buzz phrase now, because I was living the brands from a very young age, way before it was cool. I was a strangely brand loyal child. I only used Crest toothpaste and I only drank Pepsi products. If I used Colgate, I felt I was somehow cheating on Crest. And how could I drink Coke? What would our Pepsi man say? (we had a glass bottle dispensed Pepsi machine in my parent’s flower shop.) Later, when I worked in marketing at a plumbing parts import company (for real), my dad bought valves for his greenhouse from me. I would search out the red-handled signature valves in stores, at people’s homes and on TV. 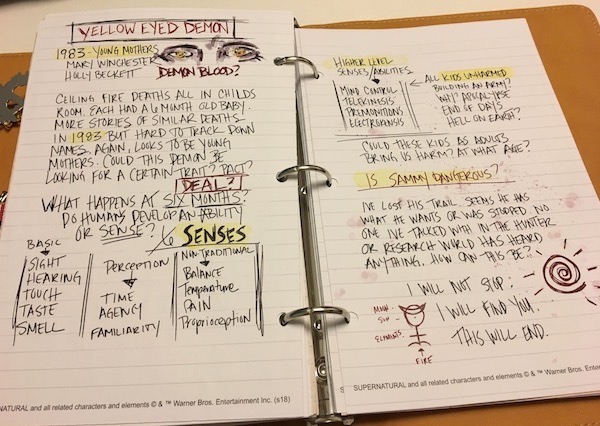 In fact, there was a B&K valve in a Supernatural episode! It’s funny, 20 years after working for B&K, I noticed this red valve in one of my favorite shows. My love affair with brands encompassed my love of advertising. When I was a kid playing with my Barbie cruise ship in the living room, I would stop and listen closely during the commercials, but go back to playing when the show resumed. Today, I am still in awe of wonderful advertising. To entertain and connect with people so they buy things they will love? That’s cool to me. I studied advertising, both at IU and after. When I was fresh out of college and working as a receptionist/jack-of-all-trades at a small creative agency, I read a great book that lives with me still: “My Life in Advertising and Scientific Advertising” by Claude Hopkins. Two anecdotes that stuck out for me were his stories of David Ogilvy and how, when he had the Sears account, he only wore suits from Sears. And also how demonstration is the key to good advertising, when possible. It sounds old fashion, but our journals sell 10 times better when we have full samples with our photos in it and can explain the journal, than if we just have blank products on the tables. Clearly, I have been a brand-fan pretty much entire life. And that extends to the business we are building today. I love our brand. It’s totally unique (another bad buzzword) but there is no one else making journals like what we are producing. But my brand loyalty is not just to ours. The brands that we license are just as close to my heart. We have made products based on things I love. We have gone after licenses based on those same things. I strongly believe that the best creators and marketers do their best work when they are in love with what they are selling or making. It seems like common sense to me, but in this world of so many jobs to do and so many products to make, it’s less likely that those making and marketing these brands are actually brand-fans. There is something really magical about a group of people, who love a brand or a show or an event, coming together and creating things they are excited about because they are FANS. That’s what I mean by living and loving the brand. This love affair is what propels us to research every place Sam and Dean Winchester have road tripped over 11 seasons. And it makes our journals and our merchandise special. It’s why fan art thrives and sometimes the corporate makers don’t always hit the mark. I know it’s not possible for all people making pop culture merch to be a fan of every single thing and I’m lucky that I get to go after what I really love. But just like when I was marketing valves, any new brand that I am working on becomes one of my new favorite things. And then the love affair begins. 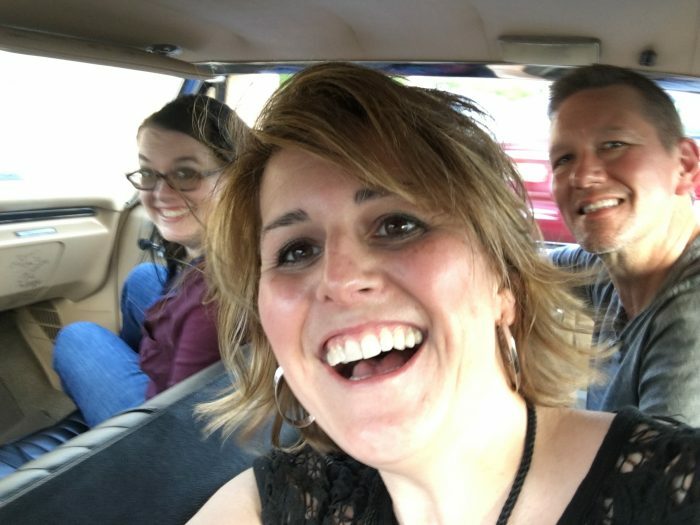 This post is off topic from my usual and infrequent writings here on our new products, what inspires us and our fun events. But this struck me today. I was looking at LinkedIn and saw people liking and commenting on a particular post I found interesting from a man I am not connected to. He is a high level marketing professional, in his 40s or 50s I presume. He has experience with some of the leading fast food and consumer products in the world. An interviewer asked him what his spirit animal and his super power would be. He did not understand why these questions would be asked and what they would even reveal. He did not know what a spirit animal is. The number of outraged, angry responders to this, calling the questions ridiculous, rude and dumb just really surprised me. I think the question is very revealing and probably did what it was meant to do. If you’re interviewing someone who will be working with brands that speak to younger people or are part of the pop culture world and the interviewee either doesn’t know what those things are or is too taken off guard by the question to adapt, then this is candidate is not for you. I’m 48, was in advertising and marketing for 20 years before starting my own businesses. I love that these are interview questions. I say yes to more personality! Yes to questions that are fun and interesting! To answer the interview question, I think my answer on spirit animal would be: That depends. 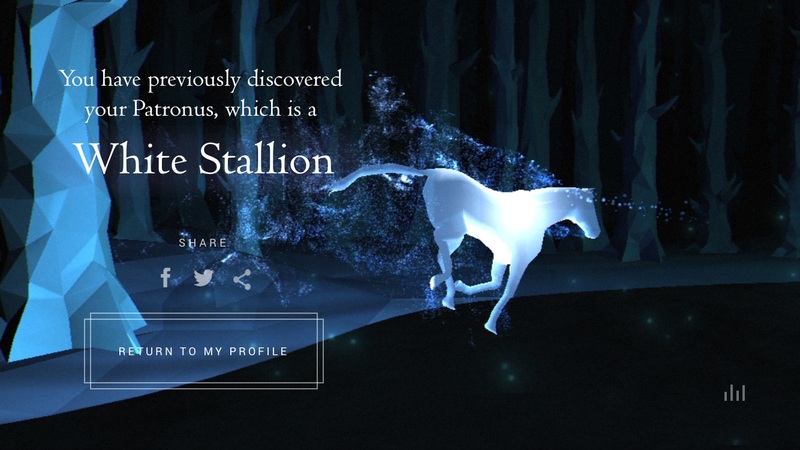 I love my Patronus, which is a white stag (I’m pretty psyched about that). I was called a bulldog often in the corporate world and I took that as a huge compliment, whether they meant it that way or not. 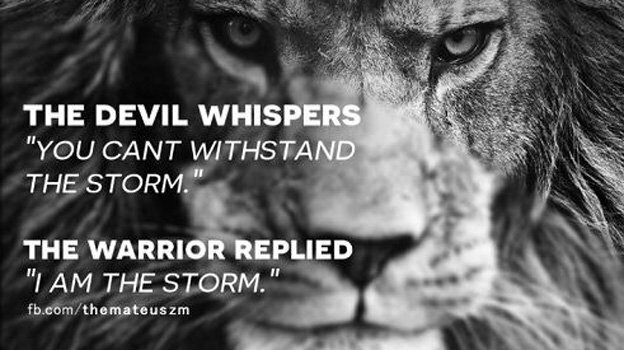 I also found a lion speaks to me because of a meme about “being the storm” with a lion as the image. My super power? I think this is going to sound evil (probably why I’m Slytherin) but getting people to do what I want. When I was in marketing, biggest challenge was to get the departments to work together so we could support successful campaigns and do things out of the norm. As a small business owner, it’s getting in front of the buyers and properties. I’m thinking I could use my mind powers to make the buyers answer my emails and carry ALL OF OUR THINGS – mooooowahahahaha.